RD Jahn is one helluva writer. 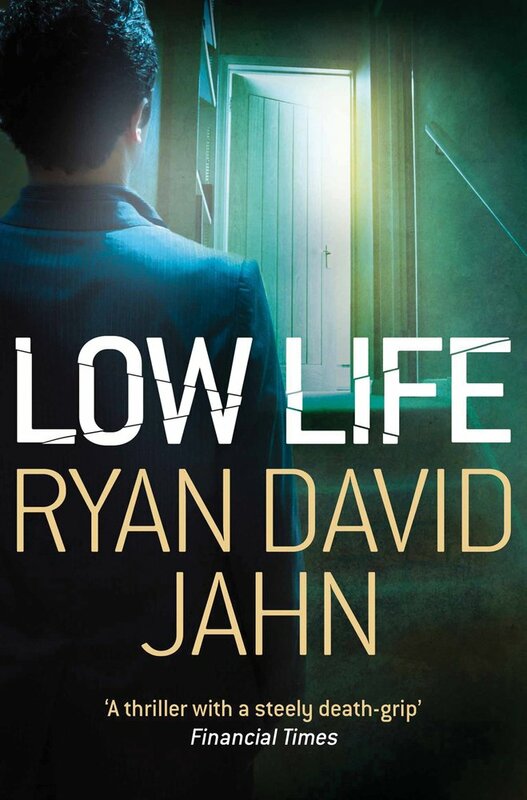 If you’ve not thought so before then the opening chapter of Low Life should convince you. He so compellingly describes waking in a run-down grubby two-room apartment that you can almost smell the rank cabbage-water air and see the paint peeling from the walls. He doesn’t so much write about a scene as drag the reader into it; in this instance into a low-rent, no-hope existence of worn shoes, frayed cuffs and a blanket nailed across the window in place of a curtain. After so credibly setting the scene, RDJ then smashes it apart by introducing a doppelganger, a look-a-like in up-town clothes, who closely resembles the protagonist and does his best to throttle the life out of him. A violent struggle ensues, at the end of which one of the two men lies dead. The murder itself is graphic and quite detailed. RDJ doesn’t pretty it up for fiction: you get the feeling that this is how real life violent death would go down with all its gory interludes and unpleasant consequences. And then things get really out of control. Amid the emotional and narrative turmoil, Jahn spices the story with some scenes which will snap you back to attention – particularly the ‘cut myself shaving’ moment which is described in gloriously gory, unflinching intimacy. RDJ is something of a stunt writer. His earlier book interweaved the threads of several lives and played with the timeline so we could see how they intersected in one awful moment. He plays a similar game with Low Life – but even if you spot what is happening as the plot unfolds it is still extremely rewarding to follow the action through to the end. I really didn’t know what the final outcome would be, although it loomed large throughout the last few chapters. So if you enjoy fast-paced thrillers of the bleak and gory sort then you should love this. If your tastes tend more towards mainstream action-adventure romps then Low Life may be a little dark and violent for your tastes. For me, it’s delightful to read such excellent writing in a ‘genre’ publication – RDJ isn’t doing anything particularly new, but he puts a great spin onto a subject that’s as old as time. Interestingly, I first read this a couple of years ago. Second time around it still kept me guessing and I enjoyed it just as much. Both times I’d guessed mostly where the plot was heading before it arrived but even so was thoroughly delighted by the way the various threads were craftily stitched together to make the finale inescapable as well as inevitable. Very clever, both in idea and execution. A small story but one well told.